Last week John and Kenny from Kusiak Music met up in NYC to attend some of the Cinema Eye Honors Awards events. If you aren't familiar with Cinema Eye Honors, it fills a non-fiction gap in the other annual film awards of the season. For example, the Oscars only have "Best Documentary Feature" and "Best Documentary Short Subject." However, Cinema Eye awards documentary achievements in directing, cinematography, score, et cetera. Since John won Best Score for Tabloid in 2012, he is now a voting member. John was also invited to be in the CEH "kitchen cabinet," which will meet periodically to discuss improvements of the program going forward, and he attended a luncheon hosted by Netflix where some initial awards were given. He and Kenny went to the Awards Night Ceremony together where most awards were given out. 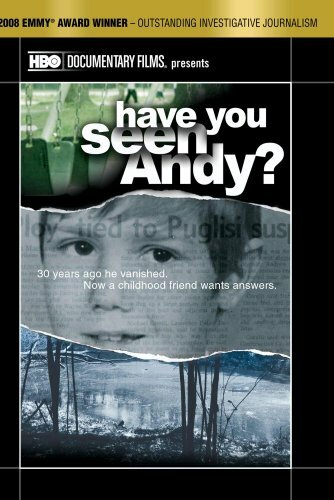 This 2008 Emmy Award Winner ("Best Investigative Journalism") tackles the mysterious abduction of ten-year-old Andy Puglisi in the summer of 1976. Filmmaker Melanie Perkins searches for answers. John Kusiak composed the score for this HBO feature-length documentary. The Boston Globe's Leslie Brokaw stopped by the Kusiak Music studio in 2006 to observe the scoring process and discuss the challenges and rewards of composing film music with Melanie and John. Boston Globe article from 2006 about the Kusiak Music composing process.